Hello! My name is Benjamin Pelton and I am the owner of Be Perfect LLC. Be Perfect (BP) is a Human Optimization and Personal Development brand I created after graduating from Florida State University with a bachelor’s degree in Philosophy. I am currently living the entrepreneur lifestyle running two companies, working full time, teaching workshops, and affiliating with brands I believe are beneficial for the BP organization. In 2016 I was a part of the graduating alpha class which established the US Academy for the Wim Hof Method (WHM). As an Instructor of the WHM I have had amazing experiences teaching the benefits of this healing method. The Wim Hof Method has been instrumental in progressing my athletics and management of stress. The WHM is very powerful for re-establishing a healthy relationship to pain and stress by introducing the body to cold exposure gradually with a breathing program for energizing the body’s cells. Ben getting attendees of Flow State Summit 2018 ready to jump in a ice bath! To me Flow is the same as being in the zone or being present. Being present, centered in all your body, aware fully optimized. By developing an encyclopedia of body language, you are able to fully embody your chemical self. Understanding mechanically the innerworkings (interoception) of the body allows for a deeper proprioception of the chemical body. This new proprioception feeds forward the feeling of centeredness allowing for optimal neuromuscular communication between your intentions and your body. The more you understand how to operate and articulate the body the more embodied in Flow you will feel. Complete Flow is something I believe I embody daily. Philosophy has been very powerful in providing perceptions that develop mental frameworks that facilitate Flow and fuse small glimpses of states of Flow into a continue Complete Flow state. Defining Flow is important for perceiving this State and having a mental map that allows you to notice clues of Flow creates a Confirmation Bias for Flow. Loop this bias a couple times (or infinite) and you create a vortex pulling you into a center point of continual Complete Flow. 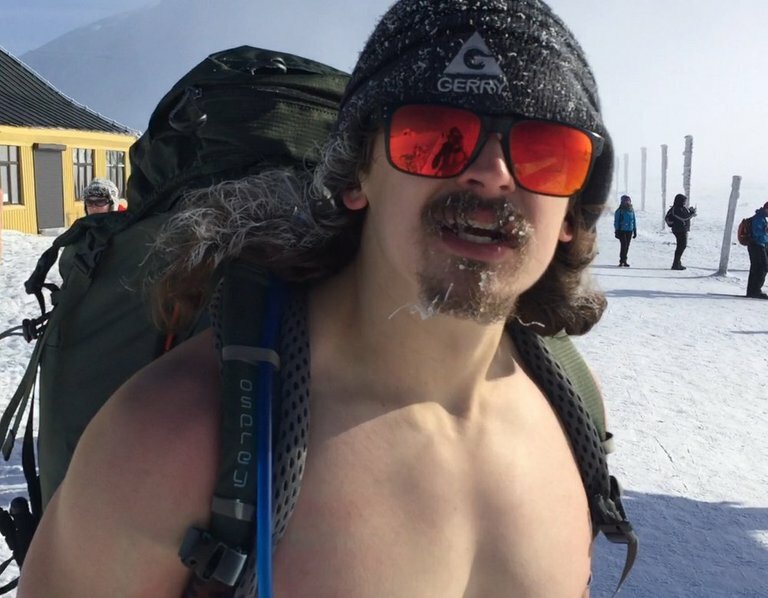 Using tools like the Wim Hof Method (cold exposure), Nutrition, Exercise, Breathwork, Mindfulness, Perceptual Training you are able to access Flow more readily. One of the most powerful experiences I’ve had as a result of applying some tools for Flow was during a breathwork session in Encinitas, CA. Right before this session began we used a vaporizer to consume some cannabis and then went into the room. During the breathwork the instructor used specific cueing which brought me into a mental space I had never experienced before. With continual coaching to relax the diaphragm I found myself in a place that no longer required breathing. I was just existing in a space that was dark but began to be filled with a dark forest green. The green began to transform into a flowing lotus flower mandala. I was having trouble believing I what I was seeing. I had only experienced these types of visuals from using psychedelics before and was amazed that this was possible through breathwork. It was really a powerful experience. Minerals! I can’t stress this enough, most food is stripped of its mineral content due to the abusive farming practices implemented by commercial farms. Lacking energy? Have your minerals tested to make sure you are saturated for optimal cell health. I am a huge advocate for Magnesium. Magnesium is a co-factor for 700-800 enzyme reactions in our body and when you are deficient in magnesium you are deficient in many vital enzymatic reactions. My next priority is sleep. Make sure you are getting plenty of sleep each night, your mind and body will thank you. There are plenty more we can discuss at this years Flow State Summit! Currently I am very passionate about Brazilian Jui Jitsu (BJJ). 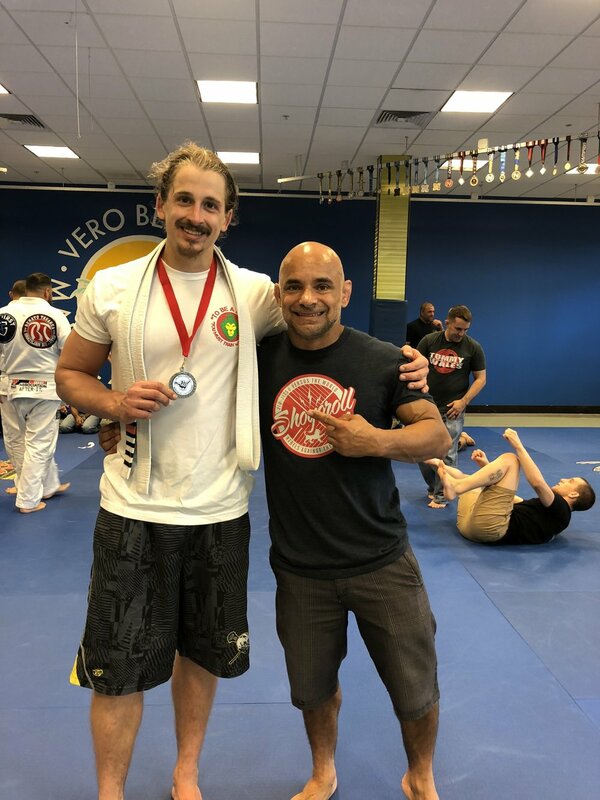 I have been training BJJ for the past 9 months and preparing to compete in the white belt division in 2019. I really have fallen in love with BJJ and look forward to continuing this lifelong journey. There is so much to learn in this new field of movements that I find myself spending a lot of time practicing BJJ. I have been blessed with having one of the top BJJ Fighters in the World as my instructor here in Vero Beach Florida. Master Renato Tavares has 5 World Titles and over 40 years of experience teaching. Learning from him has been a true blessing. These thoughts my body created as a result of fear. My body is fearing the cold but my mind understands the benefits of the temporary suffering to receiving compounding benefits in time. Investments in health for my future. Fear is important because it’s there for creating boundaries for protection. But knowing when to break through this safety warning to create adaptation through stress is what creates successful adaptation. The more you can focus on this signal for safety, the more you are able to make clearer judgements on how to proceed successfully forward. Fear is there for you to become more focused and centered to have successful results. Do not let the fear cause hesitation, but instead allow it to create more focus on succeeding. Ben will be joining us as a facilitator for his second year. We are so excited to go deeper into breathwork and wake up with ice baths at Flow State Summit 2019! !